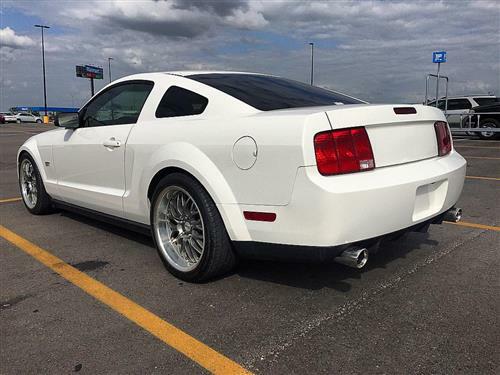 Now you can give your 05-09 GT or V6 a hot new look with the Shelby GT, GT/CS, or GT500 rear bumper. Now you can give the guy behind you something to look at! 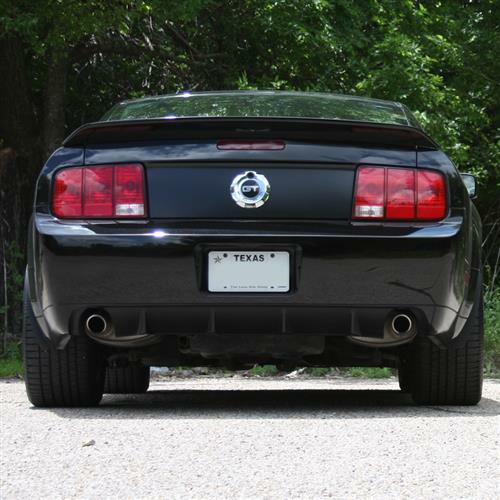 This bumper cover is a direct replacement for 2007-2009 Mustang Shelby GT, GT500, or California Special Mustang but is a quick and easy upgrade for a base GT or V6 as well. The California Special rear bumper and GT500 rear bumper were the same bumper just with different paint schemes. 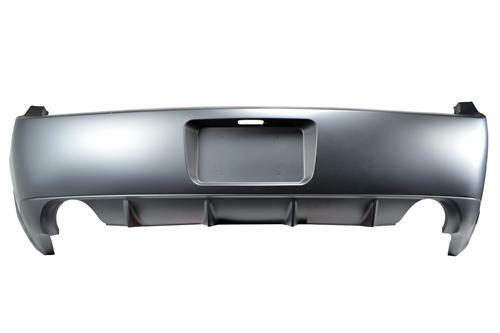 This bumper features High quality urethane construction and comes ready for prep and paint. 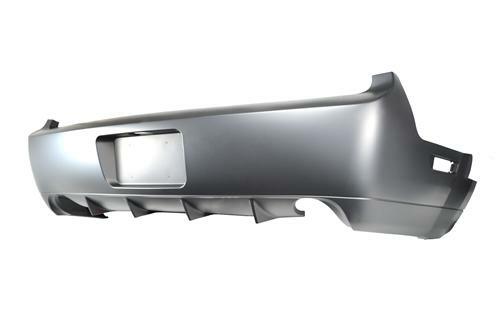 On GT500 Mustangs the lower diffuser is left unpainted as well as the lower sides of the bumper cover. 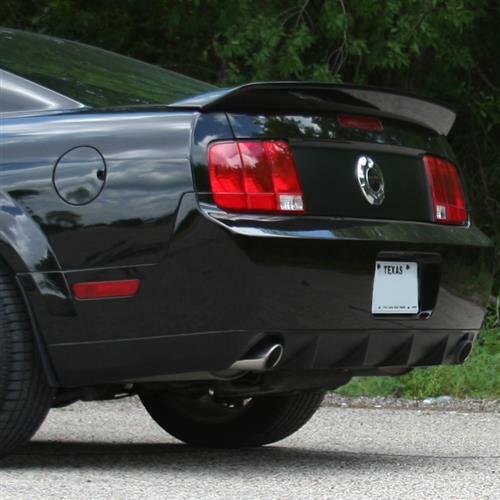 On a GT/CS Mustang the diffuser is left unpainted but the lower sides ARE painted. No matter which paint scheme you are going for this bumper will work for you. If you are going for the GT500 look all you have to do it paint above the upper body line on the bumper cover. If you are going for the GT/CS look there is a more faint body line just below the main body line that you can easily use as a guide when masking for paint. - This part must be painted to match your vehicle. 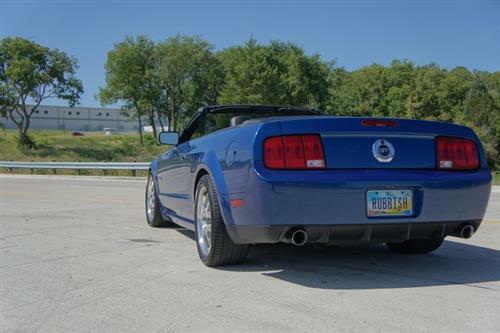 - V6 Mustangs will want to add dual exhaust to complete installation.